In our cities, in the name of modernization, we outlawed keeping chickens. So we buy our eggs at the supermarket. And most little kids don’t know where eggs come from. The older ones theoretically know they come from chickens, but they’re not really sure how it works. For a while I lived on an acreage in Iowa, and I raised chickens. I found the crowing of roosters to be comforting. I haven’t used an alarm clock in years. 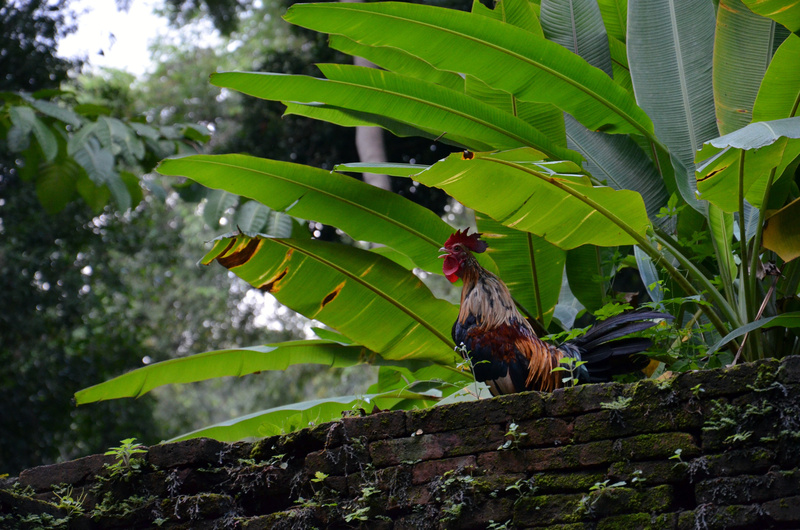 Here in Thailand, you don’t have to go far to find a rooster crowing, beginning about an hour before dawn and continuing throughout the daylight hours. There is something about hearing a rooster crow in the morning. I like your “SLUMPING TOWARDS OBLIVION”.